Regular readers will know it's been a turbulent time for KES and so Trustees were pleased to relax a little and reflect on the solid achievements of the last nine months, or so..
All this demonstrates that the decision to close the BDA Secondary (allowing Joseph and Lydia to focus on expanding the successful Primary) was the right decision, at the right time 9 months ago. Am going on well with the studies and campus life. I take this opportunity to thank you, Veronica and all the trustees. Your financial generosity since 2013 has allowed me to be steps closer to my goals. By supporting me in education you've enlightened me and my family. Your support will help me concentrate on what is more important to me, education without worrying about the fees. This will help me reach my goal of graduating with a degree in bachelor of Environmental Studies and Community Development. I hope that one day I'll be able to help other students achieve their goals just as you have helped me. Every passing hour, day, week, and months I get to love my course, Yeah environmental studies! I have joined a school environmental club which has lots of impact. 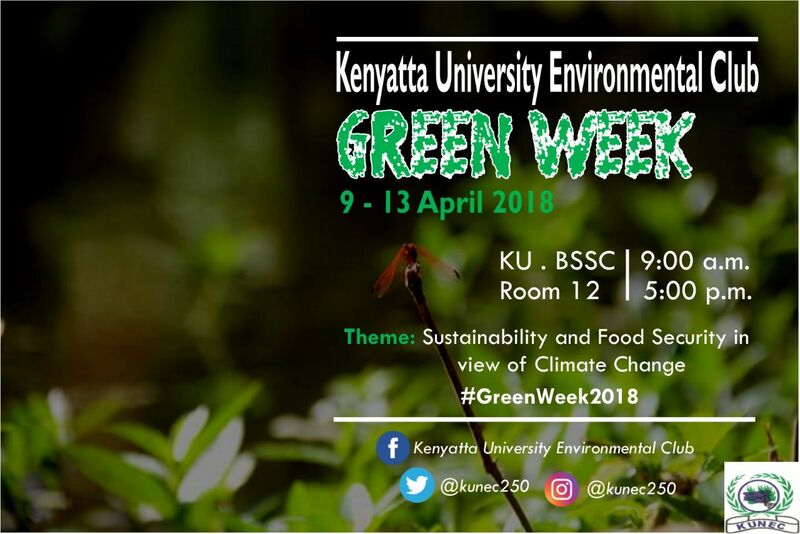 It has greatly helped me recognise that we really need to focus more on our environment. We have lots of activities with other organisations that help us pass information to many about the risks facing our planet. 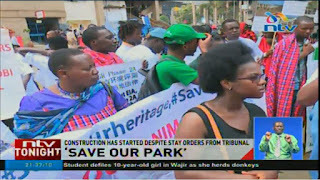 Like last week we had a movement called save our NNP (Nairobi National Park). You have heard of Standard Railway Gauge? SGR was constructed from Nairobi to Mombasa and unfortunately it passes through the park, thus destroying the ecosystem, our pride, our heritage. Meaning in coming years we may end up losing our wildlife. Imagine taking my grandchild to the museum to see an image of an elephant because they may not be there in years to come. It hurts and but we are not too late to change. Its horrifying that we have to fight our own government to save the environment. It may take me hours to talk about this but I hope I will always be a part of the solution to my planet and not part of the pollution. I love this course and even after successful degree, I can't wait to do my masters and PHD. Thank you for leading me in this brightness of education. God bless you. 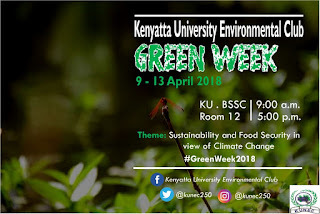 Next time you visit Kenya make sure you visit my school and we will share a lot. Thank you and say hey to Veronica for me. 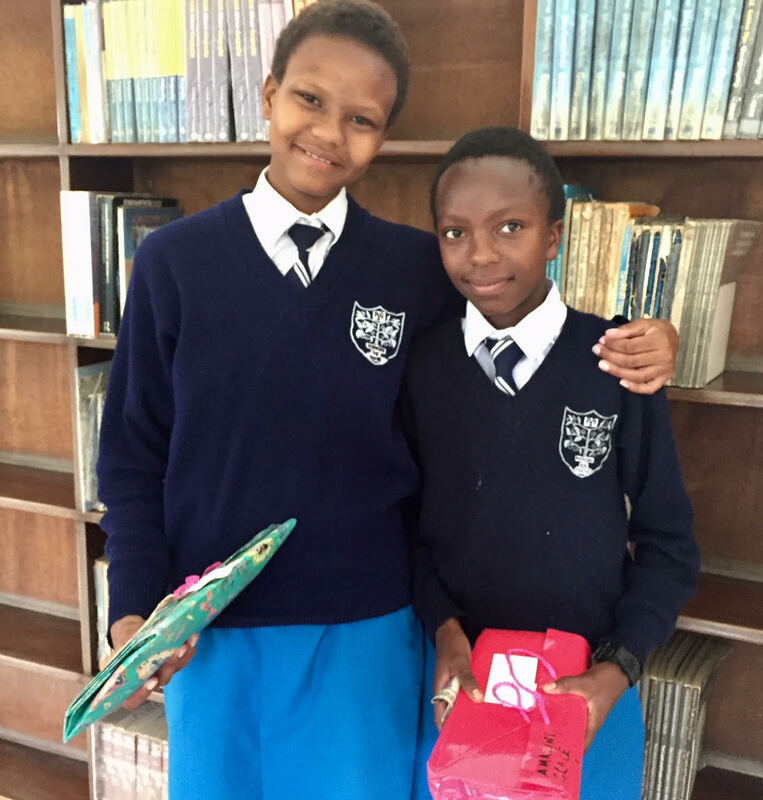 Our KES scholars love to receive letters and, even better, parcels. 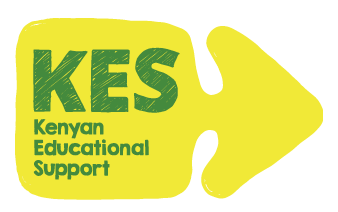 One or two sponsors have asked me about sending letters and parcels to Kenya and whether they get through okay. Well, the best way is to deliver them is by hand, as John and I did on our recent visit (see John's report below) but this is not always practical. So what is my advice? Books seem to get through okay – providing that the package is obviously a book. Packages that look more interesting – and particularly ones that can be slipped under a coat by an employee – are likely to disappear. I wouldn’t advise sending a football shirt, in the ordinary post,for example. We have found that other parcels do go missing somewhere in the system and the advice we got on our recent visit that if you do decide to send a present then the best way is via DHL. 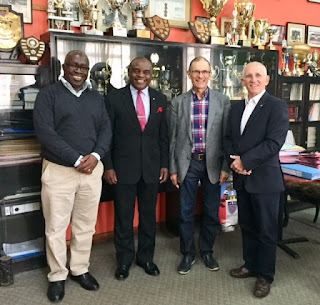 Following the closure of BDA Secondary and the transfer of KES scholars to new schools Chair John and Founding Trustee Simon visited Kenya to see how our scholars were settling in and to carry out due diligence, with child safety and welfare in mind. John’s full report described their impressions gained from touring the schools, discussions with senior staff and meeting scholars in March. 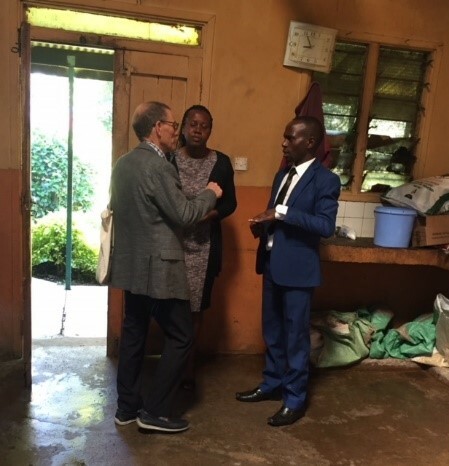 John reported back to Trustees, “In short, the Kenya trip left Simon and I feeling very positive and confident that all will be well, especially so when Lydia confirmed she is happy to continue her Welfare and school link role. It is clear that Lydia and Joseph managed the smooth transfer of our scholars extremely well and both Simon and I am sure that the decision to close Bahati Division Academy High School was the right decision at the right time”. 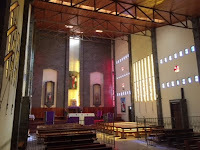 Sacred Heart Boys School, Nakuru, is a Catholic Boys’ School, set in the grounds of a Roman Catholic Seminary. Lydia, Simon and I were shown round school by Mr Thaddeus Onsomu, who, alongside Doris, School Counsellor and Brian Cheriot had come with the boys from BDA. The grounds are extensive, and the central quad is full of luscious, mature fruit trees. 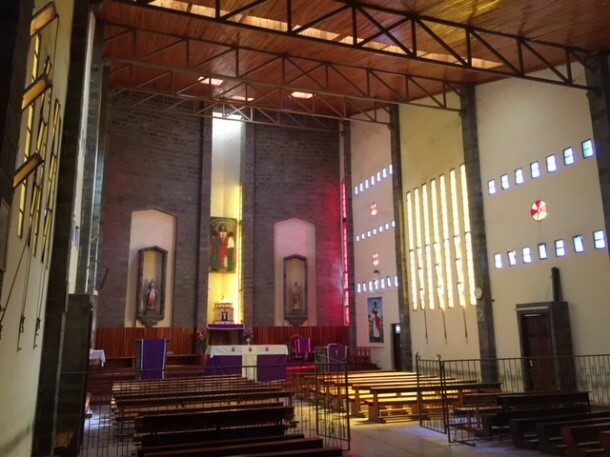 We visited the beautiful Chapel, basic dormitories, the simple kitchen and gardens and several classrooms. We visited a Chemistry laboratory during a Science Examination and were able to see the well -stocked Science Prep and Store-room. We met Father Ronald, the new Principal. He has been there one year and is impressive. He is young calm, highly educated and gave deep, reassuring assessments of what he has done, in his first year. 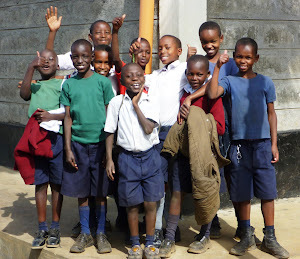 Finally, we met the KES boys who said they were happy and enjoying their new school. Father Ronald said they’d brought a very positive set of attitudes, a high level of engagement and good behavior. He was impressed with their use of English adding that it was having a positive effect on other students. The personal links between Lydia and two ex BDA staff who transferred with the boys are a real bonus. Bahati Division Academy, Nakuru. 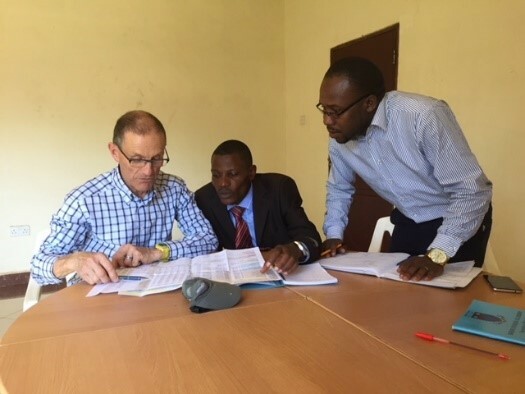 http://bahatidivisionacademy.com/ I don’t need to describe BDA, we know it well and Simon had visited with Nicky in November 2017. We were shown round by Lydia, Headteacher Anthony Nangoye and his Deputy. The site is much developed with new buildings and significant growth of planting since my last visit in 2011. There were very good signs of extra-curricular activities around the site and students were welcoming, happy, smiling and engaging. Anthony, who has been head for almost a year, was clearly pleased that the site is now wholly Primary. He is keen, engaging, knowledgeable and has high hopes for the future. He talked animatedly about the importance marketing the school. Vanessa Grant, Nakuru. 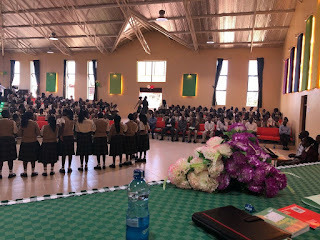 https://www.vggs.org/ We were warmly welcomed to the impressive Vanessa Grant Girls Secondary School by the calm and reassuring Principal Nancy Mwaniki and Senior Staff. Our visit was on Thanksgiving (Prize) day and we discovered were to be on the top table. 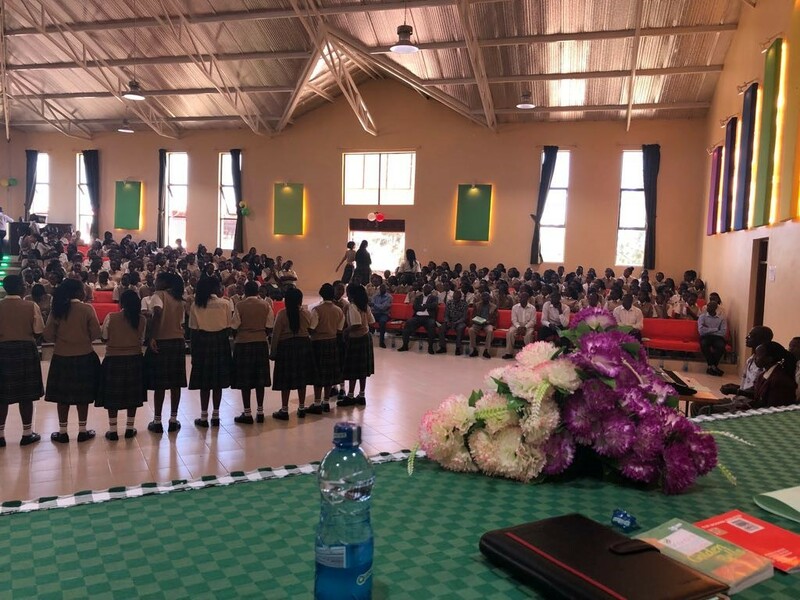 As we toured the beautifully designed school buildings and well-appointed grounds we could hear girls singing in their Home Areas and each student we met greeted us with a smile and handshake. 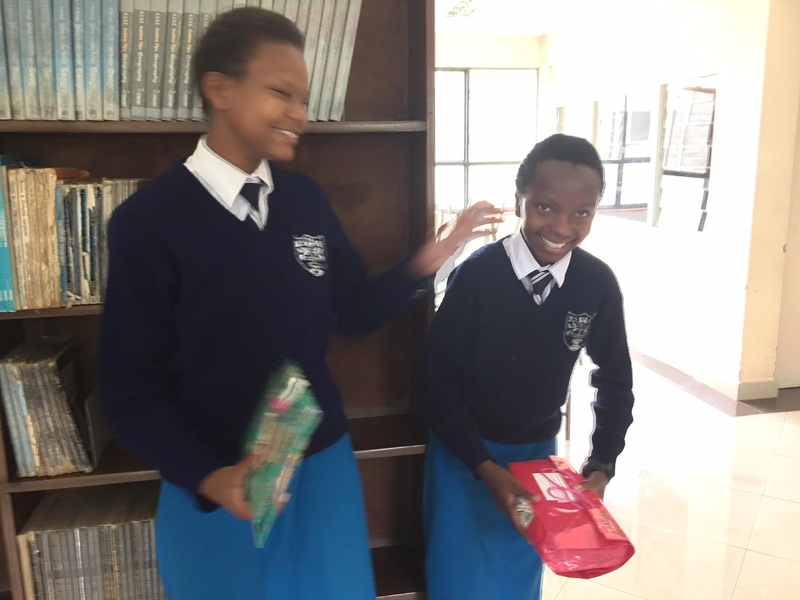 The whole school exuded a confident, caring and happy learning environment. Prize Day in the School Hall. We then learnt we were expected to speak at the three-hour ceremony, within Joseph’s allotted time, which we did. We even helped present the prizes. The Programme included lively singing, talks and presentations. The level of equipment in the school is very good indeed. It was quite emotional seeing the BDA girls, who were very happy to see us and there were some tears shed as we left. Pangani Girls Nairobi. 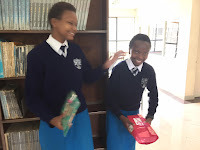 https://softkenya.com/education/pangani-girls-secondary-school/ This is another impressive school. 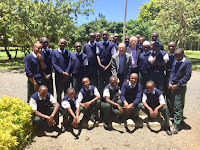 The Deputy and Bursar met us and told us about the school’s history and high performance. The large, split site is in the heart of Nairobi and, as we walked around, the girls we met introduced themselves, were friendly, and obviously happy, well behaved and keen to learn. The substantial, stone buildings reminded me of my 1960’s Grammar School and when we visited the library we met the two KES scholars our family sponsors Joyce and Amazing Grace. They were clearly happy to be at the school and had settled in well. Starehe Boys’ Centre, Nairobi http://www.stareheboyscentre.ac.ke/sbc/ - We were warmly welcomed by the Director Charles Amulavu Masheti on this brief visit. We have no KES Scholars here yet but Joseph is an alumni and his and Lydia’s son Andrew is a student here. It is another very impressive school in extensive grounds with excellent facilities and a powerful reputation for academic and character education. The pictures of visiting dignitaries, from The Queen Mother, via Mohammed Ali to Bill Clinton hinted at great influence. 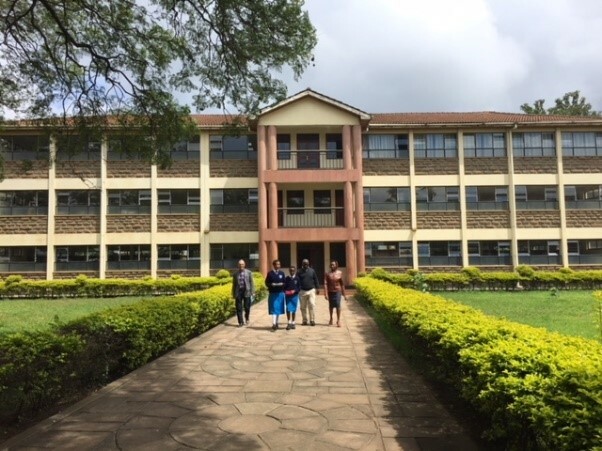 Starehe Girls’ Centre, Nairobi https://starehegirlscentre.co.ke/ - This is the Boys’ relatively recent sister school. 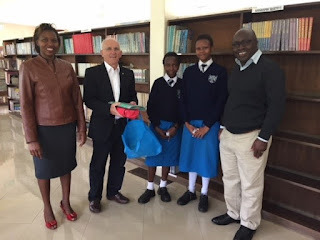 We met the school’s Director Sister Jane Soita and Mary Njuguna in charge of scholarships. This too is a most impressive school. 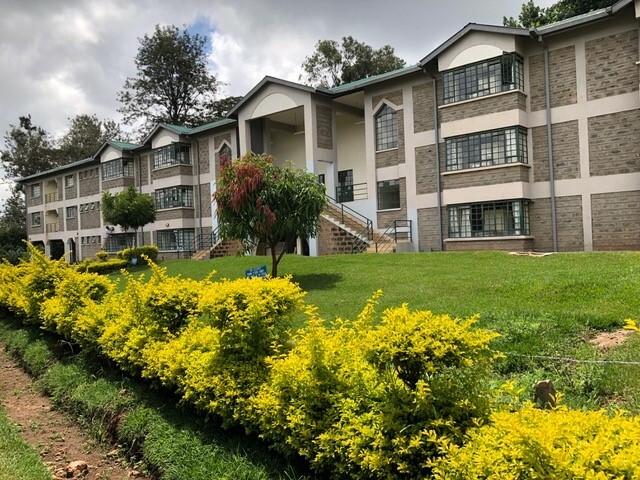 Set in 55 acres of beautiful, prime real estate in the heart of Nairobi the founding principles of the school are both ethical and proven. The site is beautiful, on rolling hills, surrounded with extensive forests and a lake well used for Outdoor Activities. 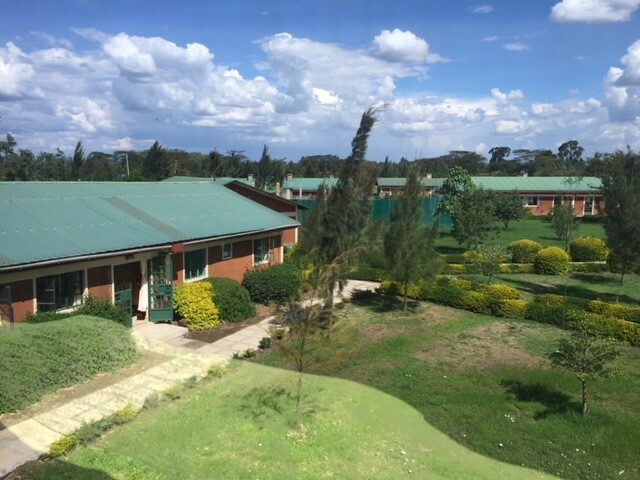 The buildings are architecturally co-ordinated and the facilities for sports, dining, sleeping and recreation are both well ordered and kept. Once again, the girls were happy, friendly, open and welcoming. 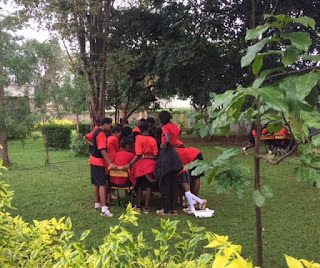 It felt a very special place of learning and we were impressed with Sister Jane’s calm assurance, care and relaxed manner. Simon and Nicky had each offered to sponsor two students and Simon was able to meet his two students. 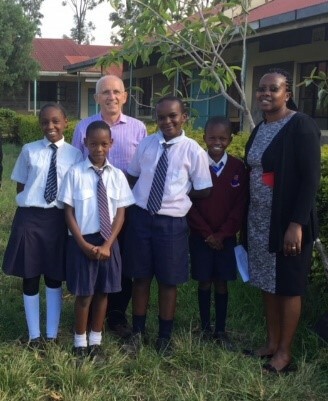 Joseph and I were both moved by the quality and care the school takes and so we each offered to sponsor an extra student each. It was a wonderful end to our visits.